Our mission is to deliver the world’s finest brands to the people of Thailand. Central Marketing Group (CMG) is one of the top tier leaders in distributing, manufacturing, and marketing numerous exemplary world’s renowned brands. Our brand portfolio includes over 40 of the most favored international brands, ranging from fashion, denim, beauty, personal care, watches, footwear, accessories, and home & lifestyle products. 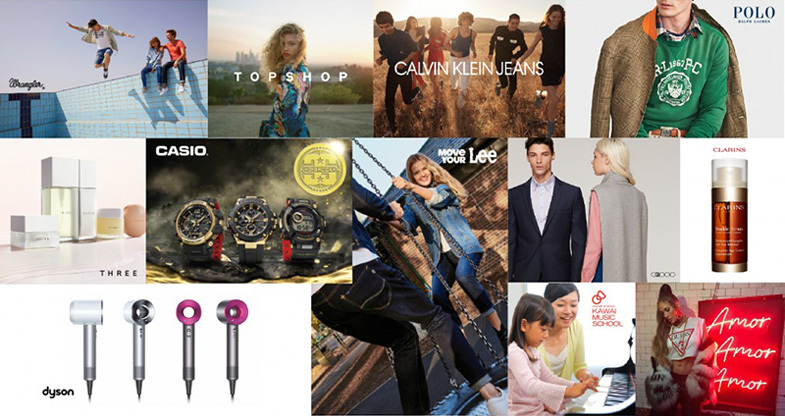 CMG is the exclusive distributor and licensee for many iconic brands such as CASIO watches, DYSON, TOPSHOP, GUESS, CALVIN KLEIN JEANS, POLO RALPH LAUREN, ROBERTO CAVALLI, JOHN VARVATOS, GUISEPPE ZANOTTI, LEE, WRANGLER, JOCKEY, HUSH PUPPIES, THE BODY SHOP, CLARINS, AESOP, and THREE. We also provide our local home-grown brands such as JOHN HENRY and S’FARE. Our everlasting success is exerted by our passionate team, and their determination to deliver exceptional results – by dutifully utilizing more than 1,600 stores and counters across every region in Thailand, executing with excellence. We also strive to create new opportunities for lucrative expansion with e-commerce and various omnichannel initiatives. We aspire to be a preferred organization for the world’s most prominent brands, and for our brands to be most cherished by our customers. Apart from Thailand, we also hold operations in Malaysia, where we have a portfolio of leading local apparel brands such as JOHN MASTER, BABY KIKO, KIKO, TRUDY & TEDDY, and SCHWARZENBACH. It's our top priority to enrich the quality of living through transformation. Our watch brand portfolio include one of the most distinguished brands such as CASIO, G-SHOCK and BABY-G. It’s also our mission to provide you with a wholesome and smart home reality like you've always fantasized, with ingenious electrical home gadgets to masterful musical instruments and audio equipment brands. We committedly handpicked best brands around the world, such as DYSON, TANITA, KAWAI and KAWAI MUSIC SCHOOL. We are the exclusive distributor and licensee for the prominent world’s famous denim brands such as LEE, WRANGLER, and LEE COOPER. Our menswear portfolio also include JOCKEY and HUSH PUPPIES, which are known for their high quality, comfort and innovation. We also release our own top-notch house brands such as JOHN HENRY and S’FARE. Our fashion apparel is a wide selection of reputable clothing brands, from luxury designer brands, to high fashion street brands. RALPH LAUREN, JOHN VARVATOS, CALVIN KLEIN, GUESS, TOPSHOP, TOPMAN, and G2000 are among some of the fine fashion brands that we offer. We provide our customers with the tools to pamper themselves with our beauty products, ranging from cosmetics, skincare and personal care brands; CLARINS, AESOP, THREE, ILLAMASQUA, BANILA CO and The Body Shop. Alongside our beauty products, we also invite our customers to experience our professional treatment course with the exhilarating CLARINS Skin Spa.